This Berberis thunbergii atropurpurea 'Nana', or dwarf purple barberry, which is a little less of a tongue twister, is a first rate deciduous dwarf shrub. In spring, outstanding, red-tinted, pale yellow flowers appear above the purple tinted foliage. This foliage remains throughout the summer until Autumn when it dazzles and sets borders alight as the foliage turns to fiery red. 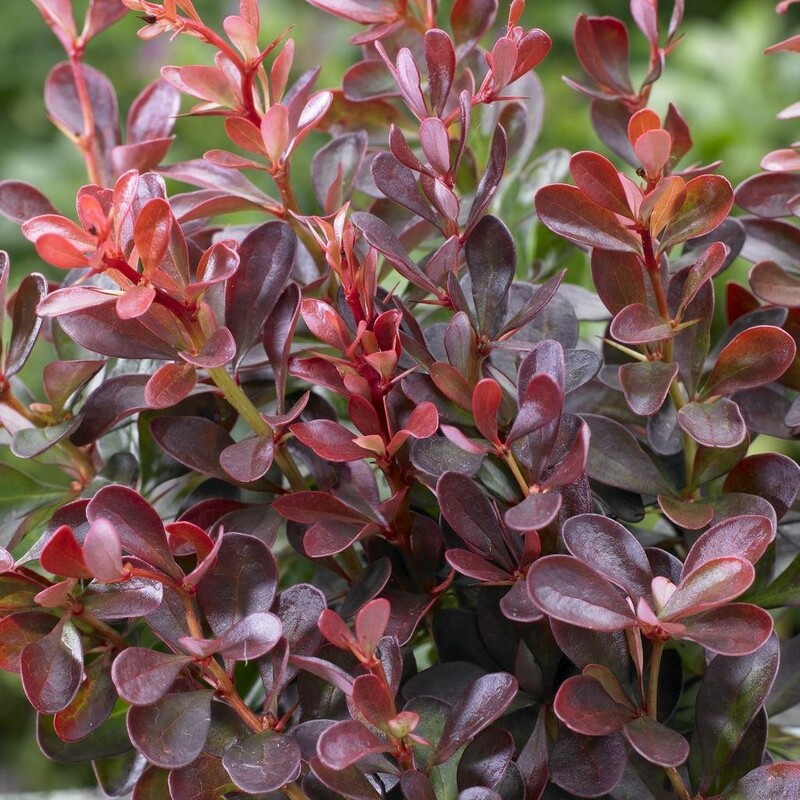 With the eye catching foliage, compact size and an easy to grow nature, this Berberis is a great choice for the smaller garden. 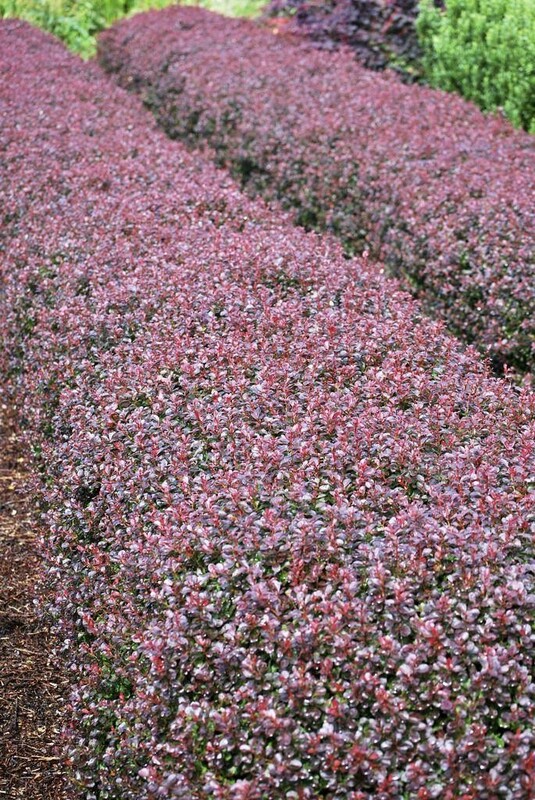 It can also be used to form low informal hedge for a sunny or partially shady site or can bet kept in pots for the patio. The compact low growing domes make it a must for the front of a shrub border, reaching just 70cms high and wide, it can be kept more compact by clipping. Try it mixed with plants that have silver foliage, where the different coloured hues will compliment each other perfectly. Supplied in approx 2-3 litre containers.